Account management has changed in a way that fundamentally challenges us as sellers. However our account management plans can all to easily take the repeat customer for granted. In this insight we examine the old way of account management and it’s many pitfalls. I had the opportunity to sit through an internal account review with a highly experienced and professional sales person recently. The review process was structured – clearly the person involved had done his preparation in advance of our discussion. Budget – can they afford to keep using us? Finally the sales person applied the PRIME formula. That is prove value, retrieve missing information, minimise weakness and emphasis strengths – listing off some next actions in respect of the account, setting a target for the follow-on revenue and that was it. Account review completed, next account please! Oops! This is a typically narcissistic account review. It is about Me! Me! Me! There was no mention of the client and his, or her needs. The focus was on how to sell, more rather than how to help more. What is the focus of your account reviews? Now, I know this salesperson well and I know that he does genuinely care about the client and his success. I also know that he is under pressure to meet target in what is a tough market. The problem is that the latter has over-shadowed the former. Perhaps the salesperson was also trying to demonstrate how hard-nosed and sales driven he was, something that would appeal to many sales managers. If an account review does not look for a win-win in terms of looking to help the buyer more and in return sell more, then it is starting from the wrong place and the very health of the client relationship may be under threat. Do your account reviews look for a win-win? 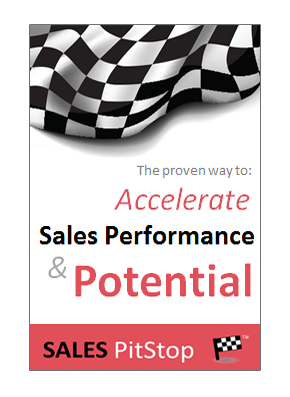 Buyers are increasingly sceptical of self serving salespeople and their efforts to push new products, or services. This review is a reminder, if one were needed, that the seller can be motivated only by his, or her own sales target. 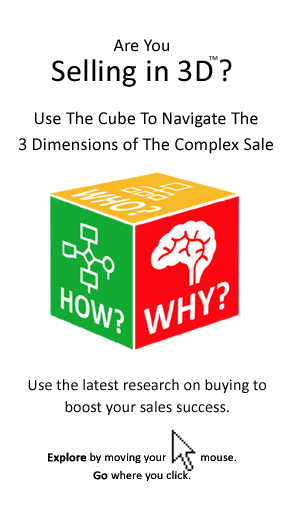 The salesperson’s one-sided view can be explained by the challenge of spending time with the buyer. In particular a number of meetings have been cancelled at the last minute. In any respect the last formal feedback session was all of 10 months ago! Clearly, that made the need to sit with the buyer and to discuss his needs and the seller’s performance a real priority. Is your customer involved in, or do they inform your account reviews? On delving into the opportunities listed above, it became clear that probabilities had been assigned to opportunities that had not been discussed with the client! This clearly indicates fancy-full pipeline forecasting processes and procedures. Our advice is that salespeople should treat existing accounts the same way as they do new accounts. That is with the same attention, drive to understand requirements, focus on developing relationships and so on. Doing so means avoiding making dangerous assumptions – such as “the client’s priorities are the same” as they were at the time of the last sale. As sales people we have been selling things one way for a long time. It is difficult to change our ways. But change is exactly what is required to cope with the new market realities. At a time when customer poaching is at its height, this has to be a top priority.